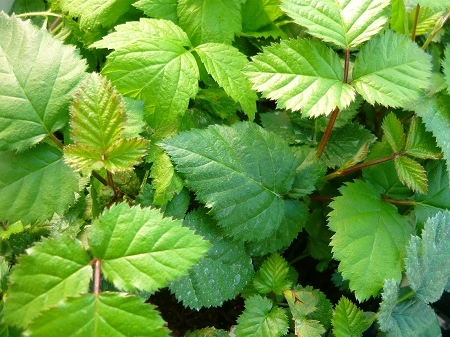 Triple Crown Thornless Blackberry (rubus 'triple crown') - Summer bearing floricane. One of the best home garden varieties of tame blackberry. Large, sweet fruit, high yields, excellent disease resistance. Fruit ripens later than other varieties (August) to extend your picking season. Very heat tolerant and self fertile. Zones 5 - 10. Live plant in 3 inch container.